➔ 89% of U.S. marketers recently said that personalization on their websites resulted in revenue increase. ➔ Marketers personalizing their customers’ website experiences (and who can quantify the improvement) see approximately 19% uplift in sales. ➔ 75% of consumers are more likely to buy from a retailer that recognizes them by name, recommends options based on previous buying behavior, or that demonstrates knowledge of their previous transactional history. If the way to consumers’ hearts (and wallets) is personalization, then how can we actually get there? There are several ways to leverage what’s called artificial intelligence marketing to incorporate personalization across your ecommerce website design– and at scale across all your marketing channels. First, though, a word on the overarching technology that enables these tactics: AI marketing. Although the concept might seem complex, AI marketing is really nothing more than some data entering a machine, being sorted and analyzed, then informing an “intelligent” output. Artificial intelligence marketing (AIM) is a form of direct marketing leveraging database marketing techniques as well as AI concept and model such as machine learning and Bayesian Network. The main difference resides in the reasoning part which suggests it is performed by computer and algorithm instead of human. Ultimately, AI marketing can help us, as marketers, scale personalization beyond a human’s capacity. Tangibly, this means that instead of having to manually sort through and segment data, and generate messaging on a 1:1 level, you actually rely on a machine to do the heavy lifting while you spend your time on more value-generating tasks. Artificial intelligence marketing is the hype-free result of blending AI (the building of systems that can make intelligent decisions) and marketing. It’s the bridge between marketing and AI – and the only way to automate personalization at scale. Now, let’s jump into those ten killer ways to use AI marketing to do just that on your website. Think of this point as a prerequisite or precursor to actually implementing the following tactics for your website. In order to have the ability to create personalized experiences, you need to have solid intel about the people you’re providing them to… who they are, where they’ve been, what they like, and so on. That’s why the first “way” to create killer e-commerce experiences is really to know every detail about your customers. Think of this step as necessary reconnaissance before the mission. Armed with information about almost every aspect of who customers are, you can then make inferences about where each is in the customer lifecycle, their affinity to certain kinds of products, and their revenue potential. Then you’re able to start acting on it. Website product recommendations and predictions are among the easiest-to-implement and one of the more effective personalization tactics for B2C brands. Recommendations actually show customers that you care about them as individuals because they’re unique to each user based on their online behavior. But these tactics require an awareness of what’s been browsed by the individual, what’s been purchased by them, and what’s been browsed and bought by similar customers. It doesn’t really matter how you linguistically masquerade recommended products… what’s infinitely more important is that you showcase relevant offerings for individuals. Amazon has mastered the recommendation aspect of its personalized marketing strategy, using an interesting “inspiration” twist (positioning recommendations as being inspired by your recent behavior). Amazon is able to pull customer browsing and purchase data to intelligently inform which products it’s recommending to each user. In essence, this tactic allows you to show customers you know them, and you know what they may want. Well-known retailer Toys “R” Us uses AI-enabled marketing automation technology to show recommended products based on website engagement of like-minded customers. Toys “R” Us leverages its machine to provide product recommendations to shoppers as they browse products in their online stores. It uses browsing and buying data from its customers to suggest highly-relevant items that other customers ultimately purchased when browsing through the same items. When you’re dealing with hundreds of thousands or even millions of contacts in your database, displaying relevant recommendations for each person is impossible to do manually. It takes a sophisticated recommendation engine to bridge that gap. AI marketing technology and self-learning algorithms are able to detect who somebody is, what they may like, then serve up products they’re most likely to want for intelligent, data-driven recommendations… per individual. Okay, while the above two tactics are related to cross-selling and upselling, it’s worth taking some time here to discuss how to be a little savvier and strategic about these rich sales opportunities. The reality is that predicting buyer behaviors and making product recommendations are excellent ways to encourage deeper engagement throughout your ecommerce website and ultimately drive more sales. Best Buy, an Emarsys client, does this smoothly, without impeding the overall CX or deterring progression toward purchase – while simultaneously giving customers the option to add on or upgrade. Look closely… it shows which item is currently being viewed, then offers not just one, but three additional items as a package deal, pre-selected, as a relevant cross-sell offer. Directly below, it’s upselling with similar, but higher-quality items should the customer want to take a look. State-of-the-art machine learning software can process diverse behavioral data including pageviews, checkouts, add-to-cart events, and search queries. Millions of customer interactions among thousands of products can be processed in real time, giving up-to-the-minute, individual recommendations with every page refresh. Cookies can be used to identify anonymous website visitors in order to personalize the experience across desktop, mobile, and tablet devices while the visitor is browsing. Simply put, omnichannel is a customer-focused (not company-focused) concept that refers to whether or not a customer can have a seamless, well-refined brand experience at any time on any device. Can your customers pick up where they left off if they come back at a later time? Will they have an experience built upon their own past behaviors, and will they be able to easily act on unfinished business? Can your customers, for example, put items in a shopping cart with their mobile phone, and continue to purchase them on a laptop? These are a couple of important ways to think about “omnichannel” in a retail context. Let’s take a look at how both work. One surefire way to provide an omnichannel experience – and earn trust – for returning website visitors is to acknowledge their previous browsing, shopping cart, or purchase behavior, and to remain cognizant of it throughout the entire customer lifecycle (also important to incorporate email here, but we’ll stick to your website for this article). You can do this a number of ways, including using a “recently viewed items” widget on your website. While this tactic doesn’t require deep learning or AI, it is a great way to add personalization to your customers’ experiences to give them another chance to convert on things they’re clearly interested in. eBay (along with numerous other personalization tactics) leverages this strategy to turn browsers into buyers. Similarly, you can prompt users to “continue their search” (or journey or shopping cart) by reminding them of their recent activity. This can work really well in both a retail context and, in particular, in travel, tourism, and hospitality. … or as unobtrusive as a smaller “recent activity” box on individual listings. One great way to show customers that you know who they are is by showing you know where they are. Location-aware offers are more personalized and custom than even standard personalization tactics. They can augment the aforementioned and following tactics and take them to another level when done correctly. Groupon has managed to successfully incorporate location-based awareness of who its consumers are, while simultaneously optimizing personalized offers per individual. For e-commerce companies where location-based awareness/offers could be an advantage, pairing that knowledge with intelligent recommendations is the epitome of personalized marketing success. Omnichannel is the cumulative effect your customers will experience as a result of your use of the right marketing automation technology. Delivering consistent, personalized experiences across all channels – and communicating at the right time with the right content via the right channel – is the cornerstone of omnichannel personalization. It may seem like there is nothing “wrong” with traditional mass discounts and coupons. They will inspire some action, just as they have for centuries. But this outdated approach is likely to be effective among only a small portion of your segment, which translates to lost opportunities and missed revenue. Even if the incentive is tested and optimized, each individual recipient is going to respond differently. Some may need a larger discount to take action, while others may not need any discount at all to make a purchase. There’s a better, more effective way to offer incentives than a “one-size-fits-all” approach. 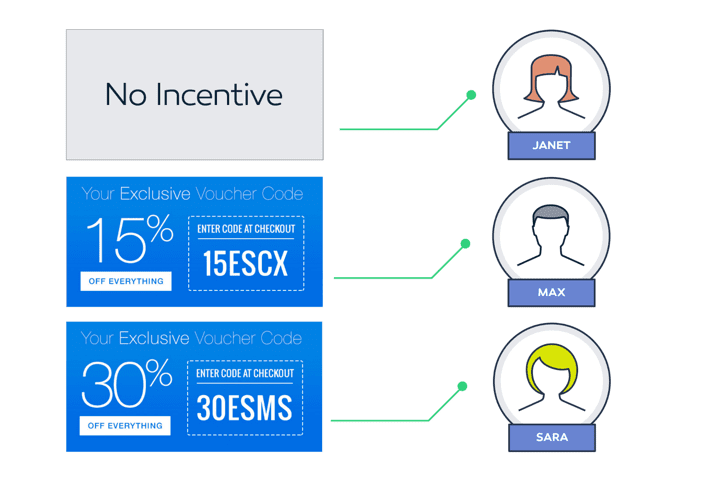 Personalized incentives and coupons target individuals based on their past behavior (which offers they have accepted or rejected in the past). For example, while Janet may require no discount to buy, Max may be a more stingy, requiring 15% off. Meanwhile, Sara – who never buys without at least a 25% off discount – may need a 30% off incentive to purchase. There’s a BIG difference between a blanket “10%” off coupon, and one generated specifically for each person – BUT the customer will never know the difference. They key is in letting the machine choose and present the best offer based on what’s most likely to inspire conversions on a 1:1 basis. Target, for instance, uses automation to show web-based deals for individuals… based on what’s most likely to get their customers over the hump to click and buy. AI-enabled mar-tech takes the guesswork out of incentives, coupons, and discounts. It does the personalization work for you. What’s your most valuable marketing channel? When prompted with this question, the majority of marketers might, with a knee-jerk reaction, say “email,” “our mobile app,” or “social media,” depending on their business model. While these channels are all vital pieces of an integrated marketing strategy, your website – your owned e-commerce hub – affords you the most opportunity to create a customized user experience. Powered by AI, real-time session data, and historical CRM data, using your website as a strategic marketing channel will allow you to deliver hyper-personalized content. There are a lot of ways savvy digital marketers are adding unique flares of personalization on their websites, but for the sake of this piece, we’ll address one of the most innovative techniques to do so: the exit intent popup. While marketers have been experimenting with exit-intent popups for a couple years now, most have yet to unlock the full potential of personalized ones. 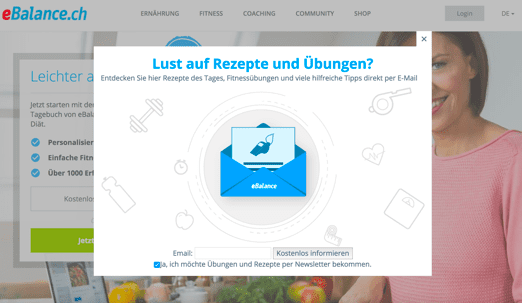 Advanced mar-tech enables you to create really neat, personalized exit-intent popups in a variety of formats, shapes, sizes, and with dynamic content including personalized discounts for each user. If “popup” still has a negative connotation in your mind, think instead of these conversion machines as “overlays” that activate upon exit intent. Instead of showing random, one-size-fits-all messages that could turn off your potential customers, get to know them based on their interactions collected in the database, and tailor your content accordingly, with adaptive web overlays. Retargeting is all about re-engaging shoppers and inviting them back to your website for another chance to buy. Though retargeting is being done in a variety of ways, one of the newest and most personalized approaches is through CRM ads. CRM ads are one of the best ways to encourage highly-qualified traffic back to your website for further personalization. CRM ads enable brands to leverage the customer data already in their CRM platform to create highly personalized, ultra-targeted experiences for shoppers. It works within your marketing automation platform – connecting with popular social networks like Facebook and Google, urging contacts (who are in the midst of surfing these channels) to visit or revisit items/pages on your website with automated advertising campaigns. Let’s say an existing contact has not visited your brand’s website in a while, responded to content, or converted on a recent offer – they’ve essentially gone cold, but you’re not sure why since they’ve bought from you before. CRM advertising can help you re-engage this customer by drive them from their social media space or search engine back to your owned platform. You can also use CRM ads to invite more fish to your pond with “lookalike audiences.” The machine can use data about your most valuable customers, and create targeted ad campaigns for individuals with similar characteristics. This tactic goes beyond re-engagement — it allows your identify and attract new, potentially high-value customers. By merging your CRM marketing data with your ad strategy, you can unleash your contact database and reach the full potential of your customer base. A personalized marketing approach improves the overall experience customers have, making them feel like you know them on a 1:1 level, and, subsequently, increasing the likelihood of more conversions over time. Since manual personalization at scale is impossible, it takes AI-enabled marketing technology to make these kinds of innovative tactics work. An advanced digital marketing strategy will leverage artificial intelligence marketing to help revolutionize the way it interacts with its customers – retaining and acquiring more along the way – in 2018 and beyond. Lindsay Tjepkema is the global head of content for Emarsys, the largest marketing platform company in the world. 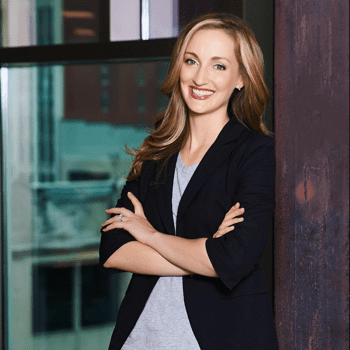 She and her team publish content that empowers marketers to leverage new and evolving technologies, like artificial intelligence, to be more effective in their roles. Connect with her on Twitter and LinkedIn. This is one compelling list of tips. Ecommerce is always a struggle for me as a dropshipper. Always hunt down looking for new tips and tricks. Certainly worth reading. These were really some useful metrics you covered. Thank you for the reality check. These are the important factors to improve your market value. But these practices are much more useful when your audience is fully relevant and targeted. Apart from these metrics, I think that user interaction is also a major factor for improving your conversion rate. Thank you for your valuable knowledge. Looking forward to more information from your side.